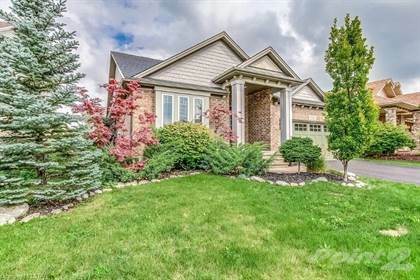 Fantastic one floor home with 2+2 Bedrooms and 3.5 Baths. Open concept main floor featuring eat in kitchen with Island, upgraded cabinets, crown moulding and built in desk. Living room offers cathedral ceilings, gas fireplace and a large picture window providing an abundance of natural light. Sliding doors off the eating area lead to the fully fenced yard complete with deck and swim spa. Separate dining area provides great space for entertaining. The Master retreat is equipped with a walk-in closet and luxury ensuite. Convenient main floor laundry. Lower level is fully finished with a spacious rec room, wine room, games room or office, 2 bedrooms with adjoining walk-in closet and spa like, 5 piece washroom. Too many features to list, come see for yourself! Shingles replaced 2016. Close to amenities and walking trails. Hi, I'd like to find out more information about 3322 Settlement Trail. Thanks so much!